My Ruined Life is created and produced by Lee Porter of Retro Peel Productions. Brian Cowden is a Philadelphia-based actor. He was last seen in Down Past Passyunk at InterAct Theatre Company (2014 Barrymore award recipient for "Outstanding Overall Production of a Play"). Brian is so excited for the newest season of MRL and would like to thank Lee, Eric and the entire My Ruined Life cast and crew for an amazing experience. After such a stupidly fun time doing Season 3, Eric Wunsch is stoked to be back for Season 4. 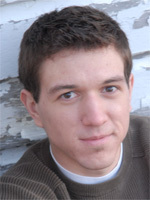 Eric is a Pennsylvania-based actor and all-around theatre guy. In the Fall of 2015, he will begin a new part of his career-path as the newest full-time member of Bloomsburg Theatre Ensemble. Eric has worked with many Philly theatre companies, including Montgomery Theatre, Iron Age Theatre, Simpatico Theatre Project, Philadelphia Shakespeare Theatre, Quintessence Theatre Group, the Arden, 1812 Productions, Isis Productions, Philly Fringe and more. He graduated from the University of the Arts. Big love to everyone involved in MRL. After mastering the theremin (an early electronic musical instrument controlled without physical contact by the performer) as a young man, Greg Bailey shied away from his heavy metal music career. Years later, he now masters wearing his hat sideways and throwing his hands in the air. He likes $2 beers in a can. Writer/producer Lee Porter's original, comedy Web series My Ruined Life was awarded "Best Web Series Shot In Philadelphia" and "Audience Favorite (Web Series)" by FirstGlance Film Festival in 2012. Lee is the editor/founder of the food site Chocolate Covered Memories, the Philadelphia beer reporter for Ale Street News, a member of the Board of Directors of Azuka Theatre, the editor of the comic book series Adam 12, and a member of the Fishtown Beer Runners. Lee's work has been featured on Comcast SportsNet, Food Network's CityEats-Philly, The Gaggle, Liminal Fiction, Philadelphia City Paper, the Philadelphia Daily News, the Philadelphia Inquirer, Philly.com, Shmitten Kitten, Zoo With Roy and even tweeted by Questlove. Lee "likes" Eating & Shrugging and making fun of internet addicts (even though he is one himself). Lee is honored and thankful to create laughter with ALL of MRL's outstanding team! Nick Merola is an award-winning freelance filmmaker currently based out of New York, Philadelphia, and the Moon. Nick has worked on a multitude of projects and holds a degree in Film/Video Production from Drexel University with a minor in Television Production. For more information about Nick, visit: Vimeo.com/NickMerola. Daniel Rothman is a freelance filmmaker in the Philadelphia and New York area who has worked on several award-winning short films. With a wide variety of production experience, he mainly focuses on directing and cinematography, but for MRL he decided to showcase his sound-recording skills. He thoroughly enjoyed "listening" to all of Brian and Eric's witty banter while recording it. Dan's work can be viewed at www.HeightProductions.com. Nero Catalano is a South Philadelphia-based composer and multi-instrumentalist, his specialty: the guitar. He spent the better half of his twenties as the music director of the Paul Green School of Rock Music and currently teaches privately out of his home. Nero has recorded and played live everywhere, from CBGB's to the Filmore, with such acts as Work Drugs, 722, and 11th Hour Theater Company. To check out Nero's latest project, Ellis Islands, visit: soundcloud.com/ellis-islands. Aaron Toaso is a video/film editor recently relocated to the Philadelphia area. He is not currently nor has he ever been in a band, but he did find himself behind a microphone spinning records while attending college in the previous millennium. Aaron has edited a pair of independent features, a full length documentary and a variety of short programs. For more information about him and a sample of his work, visit: myspace.com/automaticshoespost/videos. 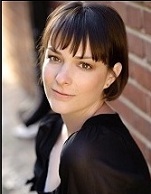 Amanda Sharp is a graduate of Arcadia University. She has designed costumes for Azuka Theatre and Plays and Players in Philadelphia and currently owns The Costume Scene in Trenton, New Jersey, where she designs and constructs costumes, styles wigs and applies special effects and beauty makeup. Amanda is so grateful to have had the chance to work with such a fun group of people on such a great project! Thanks for offering me a seat on your bench, gentlemen! Can't wait to see what's next! For more, follow Amanda at @pandafbear on Instagram and The Costume Scene on Facebook. Sammi Hershman currently interns at Engel Entertainment as well as writes, dances and produces films. Her greatest passion is rap. Phil Czekner, Mitch Esparza, David Falcone, Sean Huber, Alex Keiper, Craig O'Brien, Sam Sherburne. Suzanne Allaire; Mark Sokoloff; Paul Impellizeri; Kevin Glaccum; Allison Heishman; Arno Weinstein; Azuka Theatre; Off Broad Street Theatre; MacGuffin Theatre & Film Company; FDR Park; Rittenhouse Square; Ruba Club Studios; and most importantly, all of our fans and supporters! Brian Cowden is a Philadelphia actor and teacher, who has had the pleasure of working for many of the top theaters in Philadelphia. He was last seen on stage at the Walnut Street Theatre, playing Vincent Van Gogh, in the play Vincent In Brixton. Brian can next be seen in the brand new play Down Past Passyunk with InterAct Theatre Company. As a teacher, Brian works for MacGuffin Theatre & Film Company, where he teaches stage combat and acting as well as one-on-one private instruction. Brian is very proud and grateful to be a part of all three seasons of My Ruined Life and would like to thank Lee Porter and all involved for such a great experience. 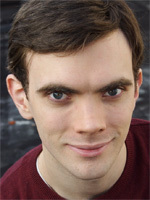 Eric Wunsch is a Philadelphia-based actor and theatre artist. He has worked in one or more capacities with Bloomsburg Theatre Ensemble, Philadelphia Shakespeare Theatre, the Arden, 1812 productions, Simpatico Theatre Project and more. He graduated with a BFA in acting with honors from University of the Arts. Upcoming acting projects this season include A Lesson Before Dying (Iron Age Theatre) and Ondine (Idiopathic Ridiculopathy Consortium, under the direction of Aaron Cromie). Eric also runs the Facebook page Broke in Philly, dedicated to promoting cheap and free events all over the city. He is super excited to be the newest cast member amidst a sea of awesome people on My Ruined Life. Originally a surfer girl from SoCal, Kristen then carved out her career in D.C. before coming to Philadelphia. Favorite past theater productions include MacBeth, Our Town, Neighborhood 3, We Won't Pay!, 1984 and Twelfth Night. Kristen holds a B.A. in Theatre Arts from CSUN. Her dog Finn is the coolest ever. She also runs, a lot. Greg Bailey's goal in life is to trademark the phrase "Are you serious?" and to actually write his own brief bio for this website someday. He likes craft beer and running (often one followed by the other). 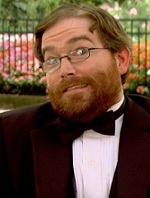 Greg spilled pizza sauce on Lee Porter's tuxedo in Season 3. Writer/producer Lee Porter's original, comedy Web series My Ruined Life was awarded "Best Web Series Shot In Philadelphia" and "Audience Favorite (Web Series)" by FirstGlance Film Festival in 2012. Lee is the editor/founder of the food site Chocolate Covered Memories, the Philadelphia beer reporter for Ale Street News, a contributing food writer for Food Network's CityEats-Philly, a member of the Board of Directors of Azuka Theatre, the editor of the comic book series Adam 12, and a member of the Fishtown Beer Runners. Lee's work has been featured on Comcast SportsNet, The Gaggle, Liminal Fiction, Philadelphia City Paper, the Philadelphia Daily News, the Philadelphia Inquirer, Philly.com, Shmitten Kitten, Zoo With Roy and even tweeted by Questlove. Lee "likes" Eating & Shrugging and making fun of internet addicts (even though he is one himself). Lee is honored and thankful to create laughter with ALL of MRL's outstanding team! Sean Huber is a film editor and touring musician, based out of Philadelphia. Sean is an editor for Weathervane Music's non-profit documentary series, ShakingThrough.com. Currently, Sean is the songwriter behind Philadelphia folk punk act, Steady Hands, as well as the drummer for Modern Baseball. Nick Merola is a freelance filmmaker currently based in New York and Philadelphia. Nick has worked on a multitude of short films and is currently in his senior year at Drexel University, double majoring in both film/video and television production with a focus on directing and cinematography. For more information about Nick, visit: NickMerolaProductions.com and Vimeo.com/NickMerola. Kendall Currier is a freelance filmmaker based out of Philadelphia who specializes in special effects and glamour makeup. She is currently attending Drexel University, pursuing a degree in film and video production with a minor in screenwriting, and currently works on a student-run sketch comedy show at her university entitled Sketchy Dragons. She hopes to continue her work in art production in the future. Emma Baiada is a senior at the University of Pennsylvania, studying Communications, Consumer Psychology and Cinema Studies. This past summer, she worked as an intern at Zealot Productions and Jigsaw Productions in New York City. She hopes to find a job in film production post-graduation. When not writing, keeping security or giving guidance, Jeremiah Jancik enjoys meditating, boxing and playing rugby. His day job is teaching Solar Design and Installation classes in Philadelphia. He is currently seeking representation. His current agent/manager, Lee Porter, does not know this. Dustin is a graduate of Arcadia University. A Philadelphia-based performer, he has acted with or choreographed fights for People's Light and Theatre, Philadelphia Young Playwrights, Villanova University, The Porch Room, Fever Dream Repertory, Hedgerow Theatre, MasterBuilder Productions, Underground Shakespeare and Azuka Theatre. He teaches improv, acting and process drama at the Cheltenham Center for the Arts. Dustin is also the co-founder of Dark Star Theatre, a new company specializing in Czech blacklight performance and puppetry. Dan Bruskewicz, Jessica Dalcanton, Liz Filios, Laura Giknis, Ishknits, Dustin Karrat, Joshua Machiz, Angela Smith. Suzanne Allaire; Mark Sokoloff; Paul Impellizeri; Kevin Glaccum; Allison Heishman; Arno Weinstein; TJ. Kong & the Atomic Bomb; Azuka Theatre; Off Broad Street Theatre; David N. April; Jessie Hemmons; Strangelove's; Steap and Grind (Fishtown); Pizza Shop (Fishtown); Palmer Park; Gusto Pizza; Gavin's Cafe; Friends of Schuylkill River Park; Markward Playground & Recreation Center; and most importantly, all of our fans and supporters! Brian Cowden is a graduate of the University of the Arts (Philadelphia), a member of Actors Equity Association, and the Society of American Fight Directors. He has appeared in various theatrical performances including the world premiere of The Eclectic Society by Eric Conger at The Walnut Street Theater and the Barrymore-nominated production of The History Boys at Arden Theater Company. In addition to acting, Brian also teaches at MacGuffin School for Theater and Film and is an amateur mixed martial artist. Nathan Holt is an actor/comedian based in Philadelphia. Trained for the stage, he's made many appearances in productions by some of the city's best theatre companies. He has recently made the leap into video production as the writer, creator and host of the web series Walking The Planes, an expose on professional Magic: The Gathering players. Episodes can be seen here. Much love to everyone who worked on MRL Season 2! Born, raised and trained in Los Angeles, Kristen carved out her professional acting career in Washington, D.C. before moving to Philadelphia. A few favorite productions from Philadelphia, D.C. and L.A. include Our Town, Neighborhood 3, Merry, Happy…What?, A Thousand Cranes, We Won’t Pay! We Won’t Pay!, The Lion, The Witch, and the Wardrobe, Rashomon, 1984, and Twelfth Night. Kristen holds a B.A. in Theatre Arts from California State University, Northridge with an emphasis in Acting and Costume Design. Thanks to Lee and the whole MRL gang for letting a girl play, too. Kristen also likes to run with her dog and eat chocolate. Greg Bailey originally won "critical acclaim" for his lead role in Rock & Roll Alien (second grade play at Downe Township Elementary School), after which Greg went into a long Joaquin Phoenix/I'm Still Here, isolated period. Now, with My Ruined Life, Greg has made a legendary “comeback” to film, similar to Robert Downey, Jr (in Iron Man). Unlike Downey, Jr., Greg is not sober. In his spare time, Greg likes craft beer and running (often one followed by the other). Lee Porter is his manager/agent ... Greg still does not know this yet. Writer/producer Lee Porter's original, comedy Web series My Ruined Life recently wrapped up its second season and was awarded "Best Web Series Shot In Philadelphia" and "Audience Favorite (Web Series)" by FirstGlance Film Festival. Lee's original Web seriesWink comically examines how our online (foodie) world can conflict with our off-line (real) relationships. His comedy short/charity project FB4H	raises money for the homeless. Lee is the editor/founder of the food site Chocolate Covered Memories, a contributing food writer for Food Network's CityEats-Philly, a member of the Board of Directors of Azuka Theatre and a member of the Fishtown Beer Runners. Lee "likes" Eating & Shrugging and Making fun of internet addicts (even though he is one himself). Sean Huber is a film editor and musician, based out of Philadelphia. Sean is an editor for Weathervane Music's non-profit documentary series, Shaking Through. Currently, Sean is the songwriter behind Philadelphia folk punk act, Steady Hands, as well the as drummer for Philadelphia groups, Wild Rompit & Modern Baseball. For more about Sean, visit ShakingThrough.com or BunkerProductions.tumblr.com. 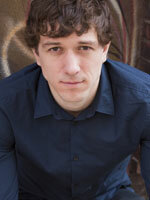 Michael Long does freelance film and theatre work in Philadelphia and the surrounding areas. He graduated from Drexel University with a B.S. in Film and Video production. He's worked on corporate, feature and television projects, as well as designing video projections for Delaware Theatre Company, Luna Theater Company and 1812 Productions, to name a few. For more about Michael, visit MichaelLongFilms.com. Nick Merola is a freelance filmmaker currently based in Philadelphia. Nick has worked on a multitude of short films and is currently attending Drexel University, pursuing a double major in both film/video and television production with a focus on directing and editing. 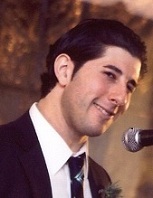 For more information about Nick, visit NickMerolaProductions.com. Aaron Toaso is a video/film editor recently relocated to the Philadelphia area. He is not currently nor has he ever been in a band, but he did find himself behind a microphone spinning records while attending college in the previous millennium. 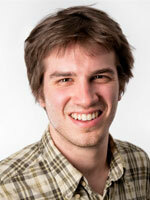 Aaron has edited a pair of independent features, a full length documentary and a variety of short programs. For more information about him and a sample of his work, visit myspace.com/automaticshoespost/videos. 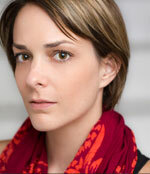 Lauren Carr Gaudite is an independent filmmaker in the Philadelphia area. She dabbles in many things, such as the application of false facial hair and the powdering of noses. She has worked on many different projects ranging from independent to student productions. She got her start at Temple University, studying Film and Media Arts. She continues to work in the area as a freelance makeup artist and an editor/colorist. Sammi Hershman studies film and psychology at Wesleyan University. She has produced films on 16 mm and various digital devices and is an aspiring director, editor and hip hop artist. Mark Sokoloff; Samuel Shannon; Kevin Glaccum; David Falcone; J. Ward Larkin; Arno Weinstein; David N. April; Philadelphia Brewing Company; Rustica Pizza; Drexel University; University of Pennsylvania; Fishtown Neighbors Association; Penn Treaty Park; Liberty Lands Park and, most importantly, all of our Fans and Kickstarter Backers! Nathan Holt is the kind of actor who loves his collection of ugly t-shirts. He has acted in several independent films and produced some of his own. Nathan is the author of two plays, Like, You're My Friend and All ... and Take Care, Ted. Theatre credits include work at Walnut Street Theatre, Delaware Theatre Co., Brat Productions, Act II Playhouse, Azuka, Flashpoint Theatre Co., Shakespeare in Clark Park, Teatro Delle Due and the Philadelphia Shakespeare Theatre. Greg Bailey originally won "critical acclaim" for his lead role in Rock & Roll Alien (second grade play at Downe Township Elementary School), after which Greg went into a long Joaquin Phoenix/I'm Still Here, isolated period. Now, with My Ruined Life, Greg makes his "highly anticipated" return to acting. In his spare time, Greg likes craft beer and running (often one followed by the other). Lee Porter is his manager/agent ... Greg does not know this yet. Lee Porter is the writer/producer of the orginal comedy Web series Wink (www.projectwink.com) and the comedy short/charity project FB4H (www.fb4h.com). Lee "likes" eating and shrugging ... and making fun of Internet addicts (even though he is one himself). To "wink" at Lee and his "ruined life," visit: Retro Peel Productions and his blogs: Blabbb, Chocolate Covered Memories and Eats & Shrugs. Currently based near Philadelphia, Rich Mach is an audio mixer, both on set and in the post room. Rich also produces, from time to time, and may be recognized for his involvement in the fan-created video trilogy Assassin's Creed: Generations. Heidi Hasbrouck is a director/producer and editor, living between London and Philadelphia. She began making documentaries during her MA in Screen Documentary at Goldsmiths College (University of London). Since then, she has worked as a freelance filmmaker in both fiction and documentary, along with lecturing in filmmaking and running community based film projects. Heidi is currently a PhD candidate at Goldsmiths in Cultural Studies.